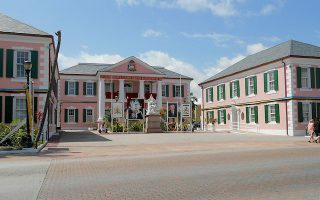 Nassau is the capital and commercial center of the Bahamas, an archipelago of over 700 islands and cays in the northern Caribbean sea. It’s a popular tourist destination, with an attractive harbour, a colourful blend of old world and colonial architecture, and a busy port. 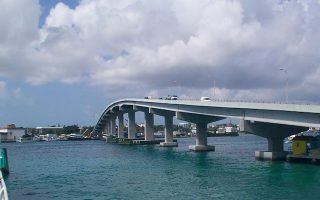 Paradise Island, with its Atlantis mega-resort, is connected by bridge. For Running in Nassau, you have to pick your spots, since most of the roads outside downtown and the northern waterfront are narrow and don’t have sidewalks or a good shoulder. The best place to run in Nassau is along the northern waterfront along Bay St., where there’s a dedicated path for a short section and decent sidewalks. It’s also fun to run over the bridge to Paradise Island and out to Smugglers Beach. Cable Beach, the location of several major hotels, offers some of Nassau’s best beach running. If you’re staying at the Atlantis, there are some private paths within the resort. Outside of town, exercise caution on the narrow roads. If you don’t have a car, the “Jitney” minibus has effective transportation around Nassau. Ferries and flights connect to neighboring Bahamas islands. The Nassau waterfront offers some nice running, with good water views. A paved walkway runs between Malcolm’s Park and the Harbour Bay Marina. Can also run northeast out to Smugglers Beach, 7.5 miles round-trip. For a longer run along the Nassau waterfront, another good choice is West Bay Street, which curves around the north side of the island right near town. It’s one of the few streets on the island with an adequate sidewalk. 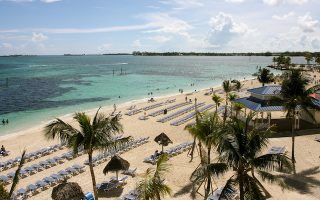 Conveniently located alongside the resort strip in Baha Mar, Cable Beach offers a two and a half mile stretch of white sand bordering the crystalline waters of Nassau Island’s north shore. Nassau weather is tropical. It’s warm all year, but hotter, more humid and rainier in summer, with near daily downpours. On the hottest days, exercise caution due to sun and high humidity. 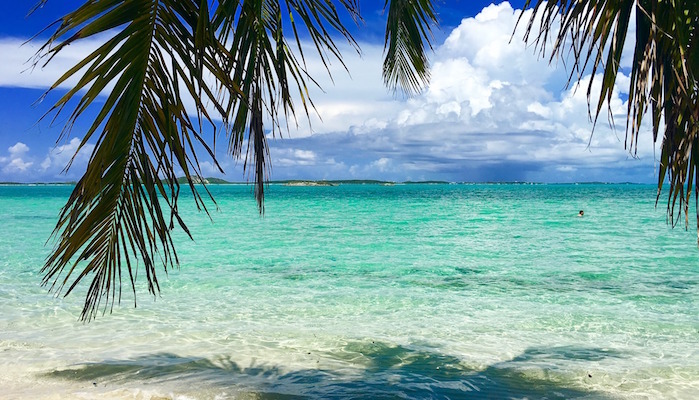 Find lodging and travel information at VisitBahamas.com. The Bahamas Roadmasters have group run and event advice. The Bahamas Marathon, held in January,hosts a variety of multi-length races. More than 2,000 people run its beautiful course.